Mr. Yamamoto, film director Wim Wenders said that when he bought his first piece of your clothing, he was fascinated because it felt new and old at the same time, and he felt protected by it. Would you say that describes your clothes quite well? My starting point was wanting to protect a human’s body. This is the beginning, actually hiding women’s bodies. This is about sexuality, about protecting it. From the very beginning of my career I was not very sure that I would become a so-called “fashion designer.” The term “fashion designer” sounded very light. What do you associate with that term? When I think about the image of a fashion designer I think about trends. I have to think about what’s new, what’s next, what kind of feeling customers want. It’s too busy for me. So, from the beginning, I wanted to protect the clothes themselves from fashion, and at the same time protect the woman’s body from something – maybe from men’s eyes or a cold wind. I wanted people to keep on wearing my clothes for at least 10 years or more, so I requested the fabric maker to make a very strong, tough finish. You say you wanted to protect the female body and your clothes often have a playful androgyny in them. Should men and women be able to dress more like each other? When I started making clothes for my line Y’s in 1977, all I wanted was for women to wear men’s clothes. I jumped on the idea of designing coats for women. It meant something to me – the idea of a coat guarding and hiding a woman’s body. For me, a woman who is absorbed in her work, who does not care about gaining one’s favor, strong yet subtle at the same time, is essentially more seductive. The more she hides and abandons her femininity, the more it emerges from the very heart of her existence. A pair of brilliantly cut cotton trousers can be more beautiful than a gorgeous silk gown. Over 30 years later, are people still too stuck up when it comes to what they wear? I simply cannot stand people’s tendency to become conservative. There’s always a move back to established conventions, otherwise upcoming waves would be soon categorized as common sense. Even the term avant-garde – avant-garde is now just a tiny fashion category. It became so cheap and pretentious. I hate it. But still, I strongly believe in the avant-garde spirit: to voice opposition to traditional values. It is not just a youthful sentiment; I live my life by it. Rebellion. You will only be able to oppose something and find something of your own after traveling the long road of tradition. You said in an interview that you hate fashion, yet you seem like you love it as well. Have you ever thought about giving it up? Quitting the fashion business? About five or six years ago I felt strongly that my role was done. But nowadays, especially in Tokyo, New York and Los Angeles, everything is covered by fast fashion. Faster, faster, cheaper, cheaper. People have started wasting fashion. So suddenly, there was some space again for me to do something. Minor in terms of numbers, but there might be young people who have questions or doubts about this trend, they might be waiting for something to come back or for something new. 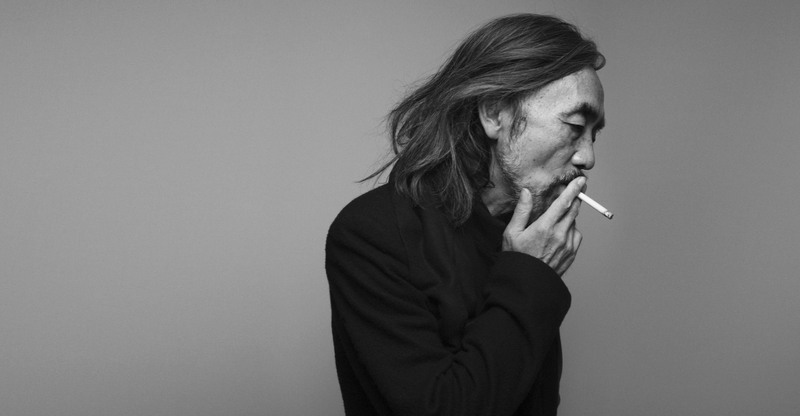 So I said to myself: “Yohji, you can continue to do your job. Don’t change. You can just continue to do it.” I told myself this last year. Notebook of Cities and Clothes (1989), the Wim Wenders documentary about the life and career of Yohji Yamamoto. Is that also the reason why you decided to publish your autobiography My Dear Bomb? You seem to always do your own thing, but yet you are still bringing out collections twice a year like most other brands. Would you prefer to show whenever you please? In 2002, I decided to show my ready-to-wear collection at the timing of the couture. I did it for 3 seasons. There were less people attending, so the possibility was there to have smaller places and allow people to actually hear the sound of the fabric. It was a very nice parenthesis. Zac Posen told me in an interview that you influenced his decision to move his collection from New York to Paris. You said it is the only place worth showing. Why is that? Paris is the place for establishing your brand as an international one. How are your designs connected to your Japanese heritage? Think of the association with Japan as an exotic exchange. It is fun. Japanese people, or Asian people, like European aesthetics and European people love Asian sensibilities. So as an exchange of senses it is all right. In that way I agree 100 percent. But when a paper writes about me, they start with “the Japanese designer…” We have to find a new vocabulary. I understand why European people take my creations as very Japanese. It is probably because if you see a creation as a whole, as 100 percent, I will always try to finish before arriving at 100. This five, seven, or ten percent we call empty or in between or uncompleted in Japanese. It’s when you go to shut a window or door and leave a space. We need this space, so I design space. Space has always been very important in Japanese traditional art of every genre – like painting, sculpting, or theatrical expression. The space of expression is even more important than the visual or written. But you also still produce in Japan, which gives your clothes a certain Japanese feel because of the unique ways of treating fabric. Maybe I will be the last designer who cares strongly about “Made in Japan”. If I stop, maybe young designers cannot afford to do business that way. It costs a lot; a Japanese man’s hand has become the most expensive in the world. So it’s my duty – not duty – it’s my desire to protect these small, traditional Japanese techniques. I use almost all family factories. The most important thing is to keep going, otherwise it will disappear. Do you also live in Japan or do you spend the majority of your time in Paris where you present your collections? I live in Tokyo. I only come to Paris around my fashion shows. Which role does traveling play in your life? Working time. I travel to Paris for Menswear and Womenswear collections in January, March, June, October, and to New York for my Y-3 collection in February, September. How do you find peace within all these different places? You need embellishment. You might be able to sleep with rock and roll music blaring full blast, but you can’t just have an absence of color. Transparency, that’s no good. I really enjoy being in cahoots with people, having fun with them, being connected. Equality, justice and all these values haven’t quite gone out the window, but we don’t find much evidence of them around either.